Welcome to another edition of Throwback Thursday! I haven’t blogged about this polish for over a year and a half and I honestly think it may have been that long since I’ve worn it. 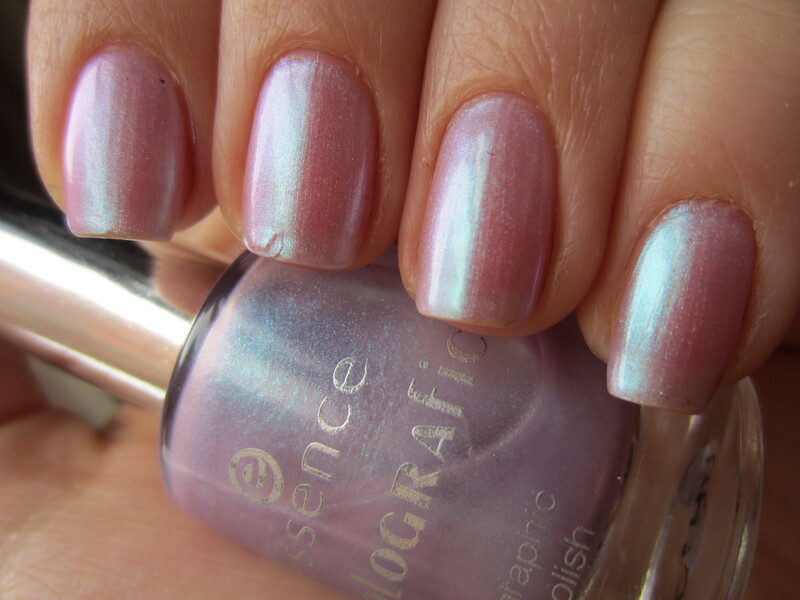 A few years ago, Essence came out with a limited edition line of polishes called holographics. I was completely shocked to even see the collection on the shelves because I’ve never seen an Essence collection. Even now, almost 2 years later I haven’t seen an Essence collection in stores. None of the polishes in the holographics collection were holographic, but they were all very duochromatic. All of them were light, sheer polishes, that had a great pearly sheen. I only picked up one of the polishes in the line, but looking back I wish I had picked up a whole lot more. 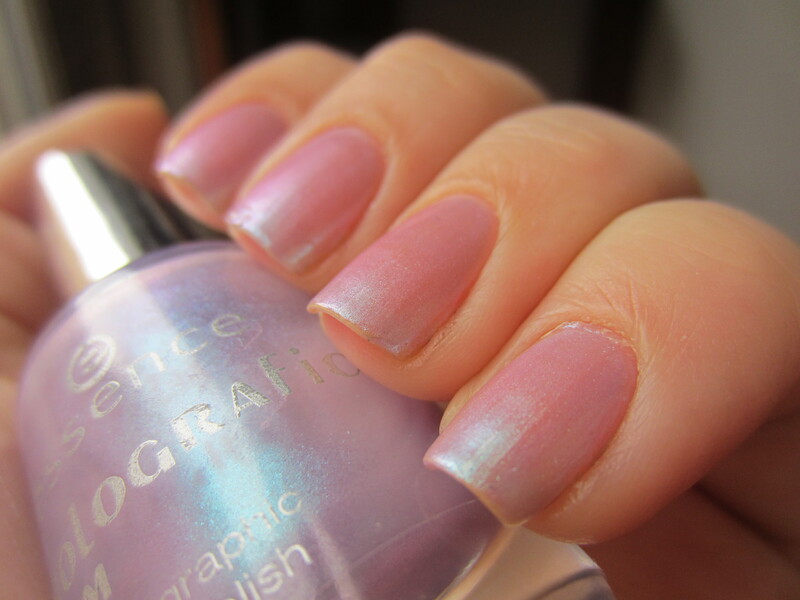 Essence “Gaga-lectric” is such a delicate, sheer duochrome. The base color is a light pink and shifts to a purple and light blue and even a white. It looks like a pink pearl, which is very reminiscent of another one of my all time favorite polishes, Sinful Colors “Let Me Go.” The only difference is that the finish of this polish is a little grainy. The formula on this polish is pretty sheer. This is 3 coats and you can still see VNL. I really don’t mind it because it makes the manicure look a little softer and a little more feminine. Also, the picture on the right makes it look like its one of those color shifting polishes that changes with your body temperature. The dry time is on the slower side and the consistency is kind of thick. So a thick, sheer, slow drying polish. Yeah, not a great formula but it is a really pretty color. What do you guys think? Do you have any old polishes that you’ve rediscovered lately? awww thats so nice to offer but you don’t have to do that girl! i need to put myself on a nail polish ban because i’ve been buying so many! Hahaha have you 😉 It’s probaly because you sold some. But we will see about that!